The Oregon Public Broadcasting channel came a did a piece on a rare find – wooden coins that can still be used as currency today. 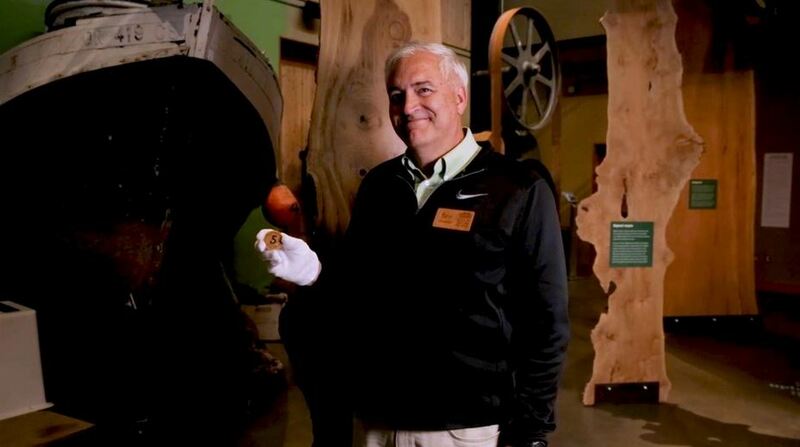 Watch current board member, Steve Greif, and a few local historians talk about myrtlewood coins. Click on the picture above to read more about them and watch a short video.